Serena Williams, winner of 23 Grand Slam titles, returned to competitive tennis in May 2018 to compete in the French Open. Her comeback was no small feat. Williams suffered a pulmonary embolism and subsequent hematoma after giving birth to her daughter in September 2017 — a condition that left her bedridden for six weeks. But in August 2018, one of the best players in the history of women's tennis was ready to reclaim her throne at the U.S. Open. Williams fought all the way to the finals, where she faced Naomi Osaka, a Japanese-born phenom 16 years her junior who idolizes the living legend. The stage was set for a fierce battle between the two competitors, but shortly after it started, the event descended into absolute chaos after Williams and chair umpire Carlos Ramos became engaged in a battle themselves. 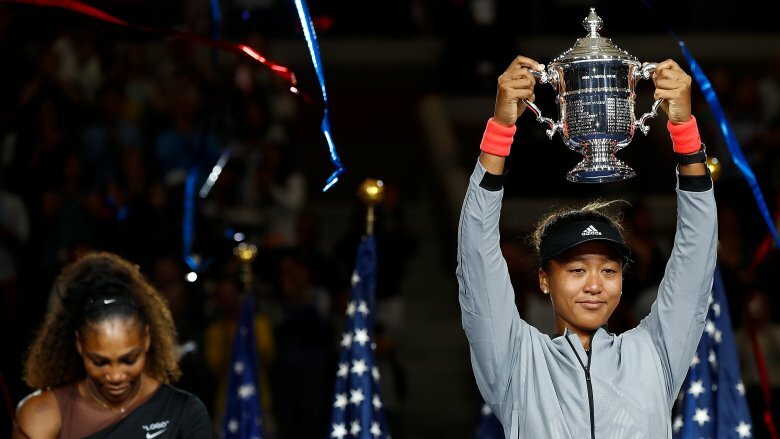 With accusations of sexism and racism served up before the match was over, the controversy on the court overshadowed Osaka's first Grand Slam title, and, unfortunately, it seems destined to stay that way for a long time. Here's the truth about Serena Williams' U.S. Open drama. 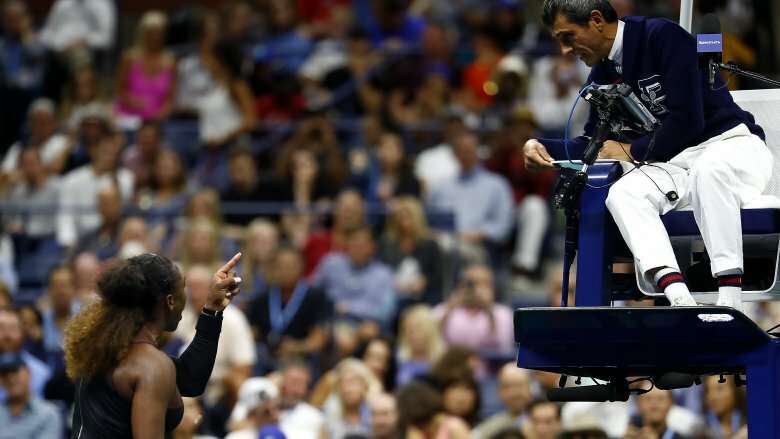 In what turned out to the be the not-so-friendly confines of Arthur Ashe Stadium, Serena Williams might have thought she was battling Naomi Osaka for the U.S. Open women's trophy, but she soon realized her other opponent was chair umpire Carlos Ramos. It was business as usual until the second set when, per CBS Sports, "Williams was given a warning from Ramos after the umpire determined her coach was attempting to instruct her using hand signals, which results in code violation." Visibly angered by the accusation, Williams confronted Ramos. "You owe me an apology. I have never cheated in my life! I have a daughter, and I stand for what's right for her," Williams shouted. "I don't cheat to win. I'd rather lose." Williams' frustration never subsided. She later smashed her racket on the court, resulting in a point penalty and more choice words for Ramos. Calling him a "thief" reportedly earned her a full game penalty. That proved costly: Williams "dropped the second set — and the match — shortly thereafter." When all was said and done, both players were in tears and embracing in a stadium filled with booing fans. A teary-eyed Osaka addressed the crowd, saying (via ESPN), "It was always my dream to play Serena in the U.S. Open finals." Williams added, "So congratulations, Naomi. No more booing." 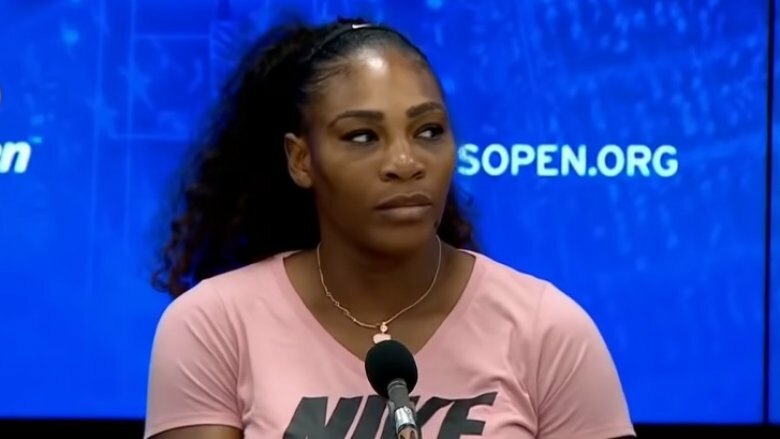 An emotional Serena Williams continued to defend herself and her actions toward chair umpire Carlos Ramos during her post-match press conference. "I can't sit here and say I wouldn't say he's a thief because I thought he took a game from me," she said. "But I've seen other men call other umpires several things, and I'm here, fighting for women's rights and for women's equality and for all kinds of stuff. And for me to say 'thief' and for him to take a game, it made me feel like it was a sexist remark. He's never [taken] a game from a man because they said, 'thief.' For me, it blows my mind." Williams said she will "continue to fight for women" to be treated equally in the sport. "Maybe it didn't work out for me, but it's going to work out for the next person." 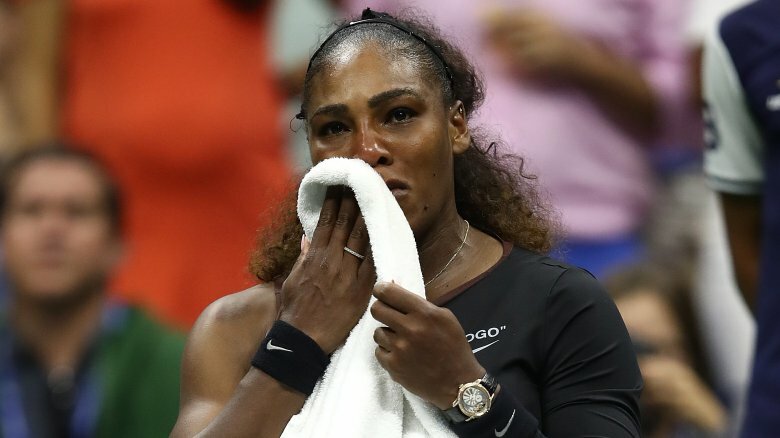 During and after the controversial match, celebrities took to social media to voice support for Serena Williams. "I've watched tennis for many many years and I've never seen anything like this ever!" actress Vivica A. Fox tweeted. "@serenawilliams is right the men do way worse than the women and she was penalize for this today? SMDH"
Red Hot Chili Peppers bassist Flea tweeted: "The deep congrats to Naomi Osaka. But that was bulls**t how the ref came down on Serena taking points. Bulls**t."
"SERENA!!! CLASS ACT!! ALWAYS A CHAMPION!!!!" singer Kelly Rowland said on Instagram. "(The Ump was a weak soul, what a double standard!!!!) 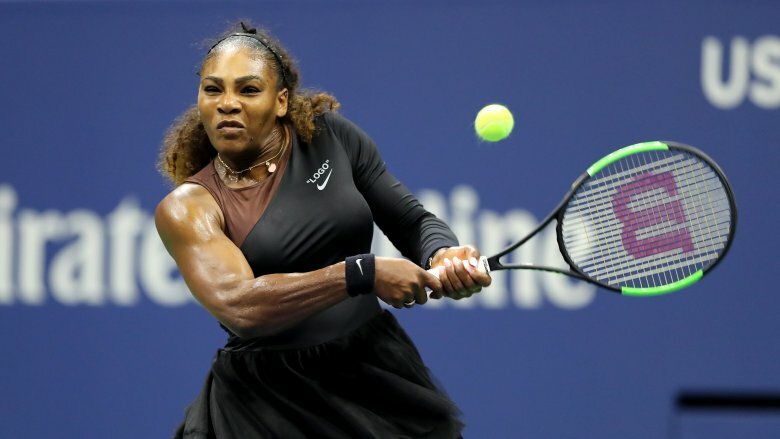 #BS"
Selma actor Wendell Pierce tweeted: "The hypocrisy of the umpire to penalize @serenawilliams in a sport that celebrated the antics of John McEnroe and Ilie [Năstase] is a blatant display of sexism #usopen." "All praise to both [Queens]," actress Gabrielle Union tweeted. "@serenawilliams the best athlete the world has ever seen & @Naomi_Osaka_ demonstrating #BlackGirlMagic & fierce determination. Very proud. Tears watching the hug." Serena Williams was fined a total of $17,000 for her three code violations at the U.S. Open. 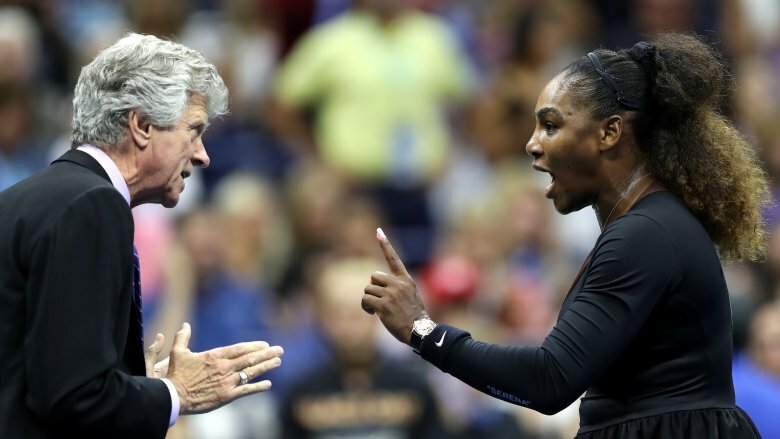 According to NBC Sports, the tournament referee "docked Williams $10,000 for 'verbal abuse' of chair umpire Carlos Ramos, $4,000 for being warned for coaching, and $3,000 for breaking her racket. The money comes out of her prize money of $1.85 million as the runner-up." According to U.S. Tennis Association regulations, verbal abuse is defined as "a statement about an official, opponent, sponsor, spectator or other person that implies dishonesty or is derogatory, insulting or otherwise abusive." In this case, Williams was reportedly cited for calling Ramos a "thief." The regulations indicate that a player could be fined as much as $20,000 per violation, so Williams could have faced an even bigger fee. Following the U.S. Open, Australia's Herald Sun cartoonist Mark Knight tweeted a drawing showing a caricature of Serena Williams throwing a fit and destroying her racket while chair umpire Carlos Ramos asks opponent Naomi Osaka, "Can't you just let her win?" Some critics thought the illustration felt too familiar to the racial stereotypes seen in cartoons during the Jim Crow-era. "Well done on reducing one of the greatest sportswomen alive to racist and sexist tropes and turning a second great sportswoman into a faceless prop," tweeted Harry Potter author J.K. Rowling. The Undefeated columnist and former ESPN host Jemele Hill called the drawing, "about as subtle as Fran Drescher's voice." The Herald Sun staunchly defended Knight, and News Corp, the multinational media company that owns the paper, stood by the illustration too. "Criticism of Mark Knight's Serena Williams cartoon shows the world has gone too PC & misunderstands the role of news media cartoons and satire," News Corp Executive Chairman Michael Miller tweeted. "Poor behaviour in any sport needs to be called out." Two of tennis' governing bodies, the International Tennis Federation and the Women's Tennis Association, picked different sides in the U.S. Open fiasco. According to The Guardian, the ITF released a statement calling Ramos "one of the most experienced and respected umpires in tennis" whose decisions at the U.S. Open "were in accordance with the relevant rules." The ITF said the chair umpire "acted at all times with professionalism and integrity." The Women's Tennis Association saw things differently. "Yesterday brought to the forefront the question of whether different standards are applied to men and women in the officiating of matches," said Steve Simon, WTA Tour's chief executive. "The WTA believes that there should be no difference in the standards of tolerance provided to the emotions expressed by men vs women and is committed to working with the sport to ensure that all players are treated the same. We do not believe that this was done." 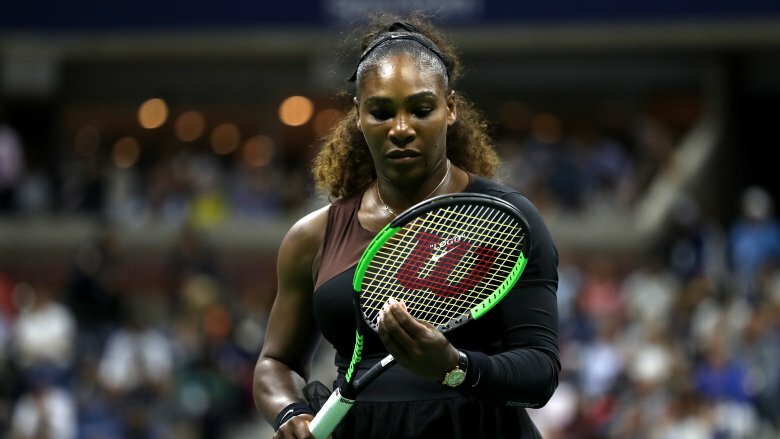 After Serena Williams accused chair umpire Carlos Ramos of sexism, some former tennis players and sports analysts agreed that the alleged double standard was on full display. The conversation also stirred up other examples of sexism on the court. For example, seeing male tennis players with their shirts off seems to be an acceptable part of the tennis viewing experience, but French player Alize Cornet "was assessed a code violation for briefly taking off her shirt at the US Open after realizing it was on backwards" earlier in September 2018, reported Sports Illustrated. 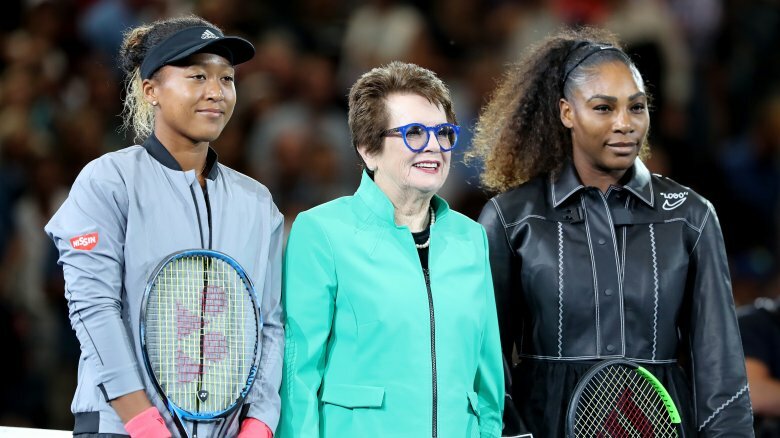 Tennis legend Billie Jean King, founder of the Women's Tennis Association, wrote a blistering op-ed for The Washington Post that called the events at the U.S. Open nothing more than an "abuse of power." King claims Ramos "made himself part of the match," thereby involving "himself in the end result." "Did Ramos treat Williams differently than male players have been treated? I think he did," King wrote. "Women are treated differently in most arenas of life. This is especially true for women of color. And what played out on the court yesterday happens far too often. It happens in sports, in the office and in public service. Ultimately, a woman was penalized for standing up for herself. A woman faced down sexism, and the match went on." King said she understands why Williams acted the way she did because she's endured similar experiences on the court. "It wasn't my proudest moment, but it may have been one of my more powerful ones," she recalled. "And I hope every single girl and woman watching yesterday's match realizes they should always stand up for themselves and for what they believe is right. Nothing will ever change if they don't." Tennis great Martina Navratilova didn't like what she saw from Serena Williams at the U.S. Open. 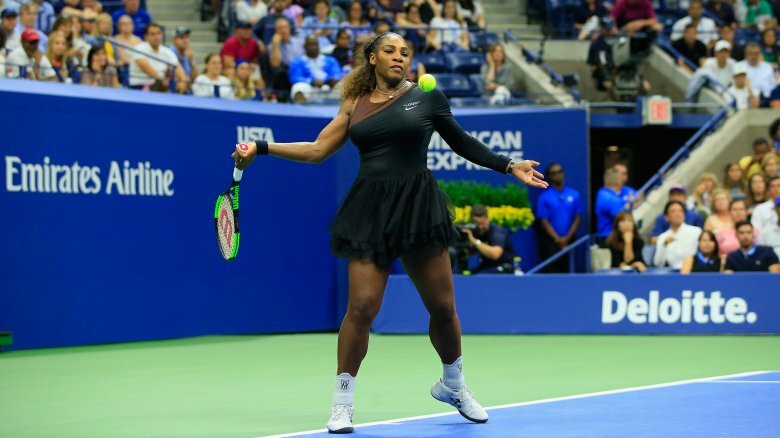 The 18-time Grand Slam singles champ shared her perspective via an op-ed in The New York Times titled "What Serena Got Wrong." For starters, Navratilova said Williams' behavior was unacceptable. "There have been many times when I was playing that I wanted to break my racket into a thousand pieces," she wrote. "Then I thought about the kids watching. And I grudgingly held on to that racket." Navratilova said the situation escalated because "Serena just couldn't let it go" after the first warning. 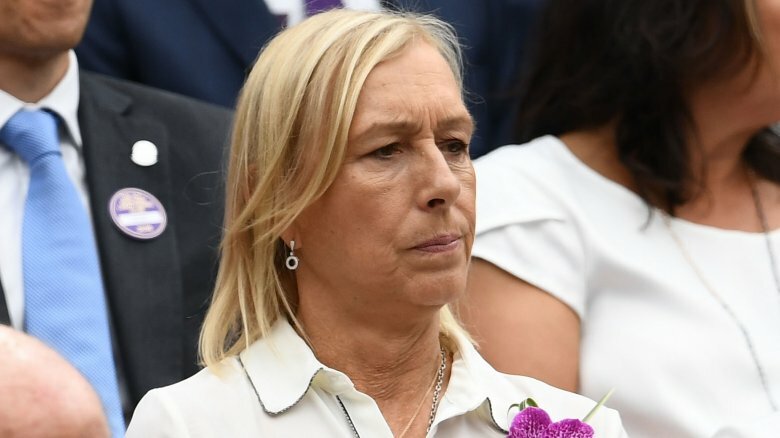 Navratilova agreed "[t]here is a huge double standard for women when it comes to how bad behavior is punished — and not just in tennis." However, she warned against a race to the bottom. Would two wrongs make a right? "I don't believe it's a good idea to apply a standard of 'If men can get away with it, women should be able to, too.' Rather, I think the question we have to ask ourselves is this: What is the right way to behave to honor our sport and to respect our opponents?" 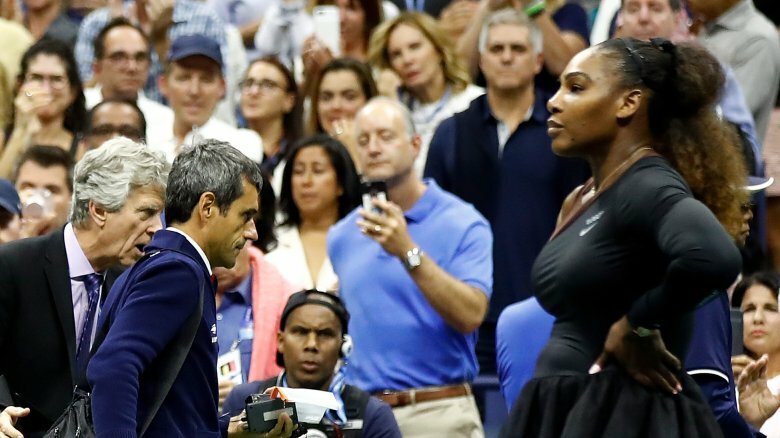 After Novak Djokovic won his third U.S. Open men's title by defeating Juan Martin del Potro in straight sets, he was asked to weigh in on the heated exchange between Serena Williams and chair umpire Carlos Ramos. According to USA Today, Djokovic said that although what transpired was a "tough thing for a chair umpire to deal with," he felt Ramos overreacted and turned the match into a "very awkward situation." He added, "I have my personal opinion that maybe the chair umpire should not have pushed Serena to the limit, especially in a Grand Slam final … We all go through our emotions, especially when you're fighting for a Grand Slam trophy." When asked if he feels women receive equal treatment in the sport, Djokovic said "it's hard to generalize things" but he thinks the sexes are treated differently "depending on the situation." Serena Williams' highly-anticipated return to competitive tennis after giving birth to her daughter was sure to bring in the ratings. The story was there: living legend looking to capture her 24th Grand Slam victory over a scrappy newcomer. Then the match started, and news of the contentious battle of wills between Williams and Ramos had viewers tuning in by the millions — with ESPN reaping the benefits. 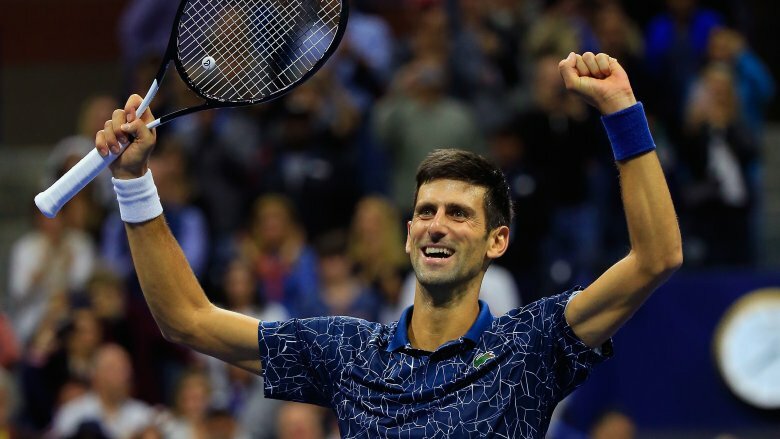 According to Deadline, the telecast "tied for the second-highest in ESPN's entire US Open history (225 telecasts starting in 2009, exclusivity since 2015) with the 2015 Men's Championship (Novak Djokovic vs. Roger Federer)." The only telecast that rated higher? The 2015 quarterfinals "that included Serena playing her sister Venus and Novak Djokovic vs. Feliciano Lopez." The overnight rating for Williams vs. Osaka was reportedly up 32 percent from the year prior. What have we learned? People love drama, and sporting events remain the best reality shows around.